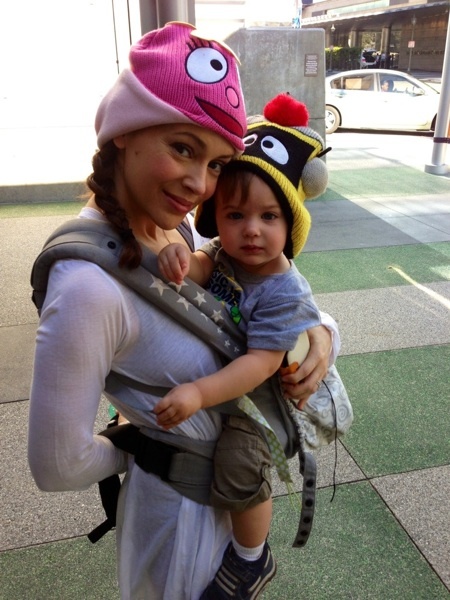 Home » Alyssa Milano & Her Boys Attend Yo Gabba Gabba Live! Alyssa Milano and her husband Dave Bugliari were photographed leaving the Nokia Theater in Los Angeles, on Saturday with their son Milo after watching Yo Gabba Gabba live! Getting in the spirit of the show, the actress wore a Foofa hat, while Milo sported a Plex toque. On the way out David wore the toque, while carring the tired tot who was missing a shoe.